It seems police confiscated an effigy of the Blue Baroness after protesters set fire to it in Glasgow. It is doubtful that the scene looked anything like the above image. Without an effigy to burn, the protesters did NOT become violent. No – they did a conga, while chanting, “Maggie Maggie Maggie, dead dead dead”. Why on earth does Boris Johnson think it’s necessary to put the fear of violence into our heads, just because people are coming to London to demonstrate in favour of common sense? The London Mayor said hundreds of Metropolitan police officers would be “kitted up” and ready to be deployed rapidly, in case of outbreaks of disorder. The trouble with that, of course, is that he has made everybody involved – protesters and police – paranoid that unpleasantness of some kind will happen, and that it will be the other side that starts it! How utterly ridiculous. By all means, keep your political tools (the police) ready, Boris, but keep them in the background. Otherwise, you’re the one inciting trouble. The main event is a demonstration against the current lionisation of Margaret Thatcher that has already cost the taxpayer nearly £2 million in expenses payments for MPs who were recalled to Parliament during their Easter recess for no good reason, when tributes could have been paid to the Blue Baroness upon MPs’ scheduled return, on Monday. Add to that a further £10 million for a state-funded funeral with military honours that a huge proportion of the population believes is undeserved – especially when the late champion of privatisation had more than enough cash in her estate to pay for as much pomp and ceremony as she could ever have wanted – and anyone can see there is a valid justification for the event. Attendees will include former miners, and members of mining communities that were devastated by the Thatcher government’s decision to force a confrontation with the unions – the real reason the pits were closed in the mid-1980s. They will be joined by travellers – whose kind were attacked by police, in their role as a political tool of the Thatcher government rather than as guardians of lawful behaviour, most notably in the ‘Battle of the Beanfield’. Students whose grants were transformed into loans during her period of office will also be represented, along with those who are politically opposed to her policies and their legacy. History tells us that violence involving those groups has always been instigated by those arrayed against them – the forces of the government; remember, the BBC was forced into a (grudging) apology after it was proved that footage of a police charge had been doctored to make it seem the miners had attacked first, when in fact the police provoked the unpleasantness. So let’s hope that nothing of the kind happens today – either at the main event, the UKUncut demo against the Bedroom Tax and benefit cap, or the Taxpayers Against Poverty march. But if it does, let’s all take a good hard look at whoever kicks it off – particularly their voting history. I have a sneaking suspicion that anyone causing trouble today will have a prediliction for supporting the Conservative Party. Local election campaigns begin – but where are the NEW contenders? Get your votes out: But who will you support, if your local council is holding elections this year? The mid-term poll is always carefully watched, so your vote could sway predictions for the 2015 general election! Hard though it may be to believe, in the midst of all the ‘Mrs T’ drivel, but life goes on and there are elections on the way. The Liberal Democrats have launched their bid for seats on 34 councils in England and one in Wales, predictably, with a smear campaign. Apparently, both their Coalition partners the Conservatives, and Labour, are inefficient and waste money on “vanity projects”. This will be a hard criticism for the Tories to counter, considering they are about to waste up to £10 million of taxpayers’ – our – money on a ceremonial funeral for Baroness Thatcher that the majority of the people in the UK simply don’t want. 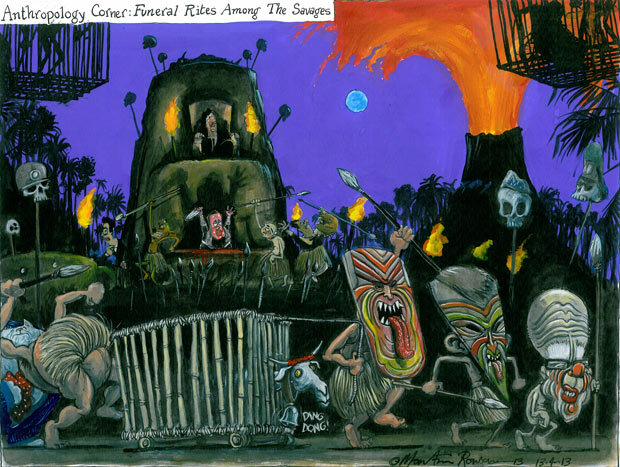 Apparently, MPs can claim £3,750 each, from the taxpayer, because Parliament has been recalled to pay tribute to her. If they all take advantage of it, that alone will cost us £2,437,500! Praise is due to Labour’s John Mann, who the BBC placed among those calling the debate a waste of money. He said tributes could have been made next week, when Parliament is due to return. But then, what is the Liberal Democrat plan to increase the Personal Allowance, that we are all allowed to earn before we start paying Income Tax, if it isn’t a vanity project? Nick Clegg says the Liberal Democrats will spread “the burden of austerity fairly”, but if this policy really has made 24 million families in the UK £600 better-off than they were in 2010, that means the Treasury has received £14,400,000,000 less than it otherwise would have. Nearly 14-and-a-half BILLION pounds! This is money that could have eased the severity of the benefit cuts on the poorest in society, or the government could have invested it in projects that would have created jobs, increasing the tax take and lessening the burden of debt repayments and benefits for the poor. Noticeably absent from Mr Clegg’s speech, at the Eden Project in Cornwall, was any mention of what his party would do with any new council seats it picks up. Instead, he went back to the Liberal Democrat ‘message script’ that was thrust upon his party back between Christmas and the New Year. “Only the Liberal Democrats will build a stronger economy and a fairer society, enabling everyone to get on in life” he droned. Here in Radnorshire, Wales, people hearing that will be thinking those words are familiar, and asking themselves when they were aired before. Oh yes – it was last week, when our MP Roger Williams and AM Kirsty Williams were talking up the increases in the Personal Allowance. So there’s no offer from the Liberal Democrats. At least Labour’s Ed Miliband launched his party’s campaign with a solid commitment – he wants councils to be allowed to prevent payday lenders from operating in their areas, and to stop bookmakers from opening as well. In hard times, it makes sense for gambling to be curbed – although it is a shame that the last Labour government allowed it to become commonplace before the financial crash hit. And payday lenders must be brought to heel – the huge interest rates they charge mean borrowers – who need the money because they receive such a poor pay packet from their fatcat bosses, don’t forget – fall even further into debt. But Labour’s recent behaviour in Parliament has created deep mistrust of the party among its core voters. Labour betrayed the poorest workers in the UK, and everybody who is looking for a job, by supporting Iain Duncan Smith’s retroactive law to legalise his illegal sanctions against jobseekers who would not take part in his slave-labour ‘mandatory work activity’ schemes to raise cash for ‘work programme provider’ companies and commercial enterprises that took part. If Labour wants to win that trust back, it needs to field prospective councillors who genuinely want to represent the interests of the people in their wards, with good Labour values – ensuring they get the best value for their council tax money, rather than turning services over to private enterprises who then make councils pay through the nose for inferior work, for example. And what about all the new contenders that have sprung up since the Coalition came to power and started reversing all the good work the previous Labour government did, justifying it by saying the new austerity made it necessary (it isn’t)? The National Health Action Party can be ruled out, I think. That organisation is a single-issue party created solely to attack Coalition members of Parliament, and anyone else who voted in support of the Health and Social Care Act, that allows private, for-profit companies to run NHS services. What about the ‘No’ Party? This group claims the UK needs a fresh start, and wants to contend the next general election “on a massive scale”. In that case, they should start at local level. 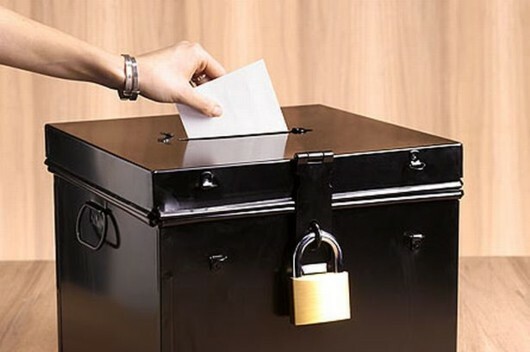 Political organisations of any kind won’t be trusted with Parliamentary seats until their members have proved themselves in the local arena and the May elections are a perfect opportunity to get started. Where are the ‘No’ candidates? What about the People of the British Political and Lawful Rebellion Party, which says it aims “to put the People back into politics”. Okay, then why not start now – in local councils? Then the ordinary people will be able to find out what they’re all about. It seems too early for any wide-based, mainstream ‘Party of the Left’, of the kind Ken Loach has been pushing, to come together in time for these elections – which is a shame. In the light of Labour’s actions on the Jobseekers (Back to the Workhouse) Bill, it is possible that there does need to be another mainstream, national left-wing political organisation – if only to remind Labour of what it ought to be. One of the most telling comments about the late Baroness Thatcher was that she changed not only the Conservatives, but other political parties, meaning that Labour followed a similar course to the Conservatives when it came to office in 1997. It’s time Labour remembered that there are other, real and workable alternatives – and started working on them. 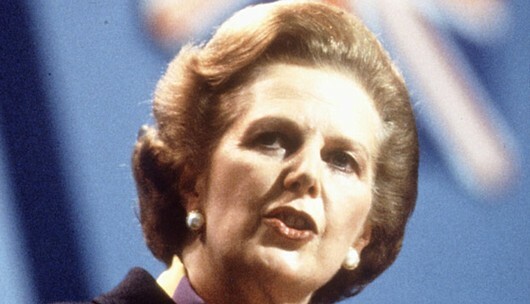 The Iron Lady: This is probably the most iconic image of Margaret Thatcher from her tenure as Prime Minister of the UK. “The lady’s not for turning,” she warned. Unfortunately for Britain, she kept her word. It isn’t every day that a former Prime Minister dies – and even rarer that we witness the death of one who affected the UK in such a fundamental way as Baroness Thatcher. As I write this, the outpouring of tributes and discussion of her achievements in the mass media are in full swing – mostly concentrating on what their editors would define as the ‘good’ she did for our country. Most of the TV channels and papers are run by right-wingers, of course – so you can expect them to be dripping with adulation. However, as I commented on Facebook yesterday evening, street parties broke out in Brixton and Glasgow, celebrating her demise (I understand celebrations took place in Leeds and Liverpool, and possibly many other cities, towns and villages across the UK). They had bands, they have people handing out milk (remember, she was the ‘Milk Snatcher’ before she was PM), they were chanting “Maggie, Maggie, Maggie – dead, dead, dead” and popping champagne. There was a humour – a sense of wit – about it, not only in what was going on (the milk, for example) but also the locations (there were riots in Brixton during her tenure, and Scotland was where the hated Poll Tax was piloted). But I said it is also tragic “that a person should do so much harm in her life, and be so hated by the people she was elected to represent – more than 20 years after she left office – that her death is marked by spontaneous celebration and, literally, dancing in the streets”. That comment thread has now been read by more than 15,000 people (usually I get one or two thousand through my Facebook door). A question I posted has received more than four times as many votes saying she harmed the country as say she improved it (47 – 11). According to Paul Krugman’s blog, it’s debatable whether she achieved anything, in terms of the economy. Good question. In fact, her two-and-a-half terms in office constituted an extremely rocky road for those of us who had to live through them (and I was one)! My opinion is that this is because she was not interested in improving Britain’s NATIONAL prosperity. No – the Thatcher crusade was ideological. She wanted to thrust her form of Conservatism so far down everybody’s throat that it would take decades for any other way to be accepted – and she succeeded beyond her wildest dreams. Let’s look at the policies that most clearly demonstrate this ideology. She sold off Britain’s council houses. The cheap, rented social housing that accommodated those of us who earned the least were sold wholesale during her premiership – and not replaced. Mrs Thatcher is said to have had a dream to create a Britain full of homeowners. Sadly, this is not what happened. Instead, the majority of council houses were sold off to private landlords who then rented them out again – at higher cost. The lack of replacement council houses meant that the country’s poor had no alternative but to rent at the higher level, meaning they had less disposable income than before the sell-off. The rise of housing associations to fill the social housing gap has meant an extra layer of bureaucracy between the tenant and their elected representatives, who can now claim that any abuse of power by landlords is nothing to do with them. She broke the unions. Some say this was vitally important, as the unions had become too powerful and were able to bring the country to its knees whenever they felt like it, calling strikes on a whim – and there is mileage in this. But it’s also possible to say that business bosses and members of the Thatcher government provoked confrontation in order to justify the erosion of union power – this is certainly true in the case of the mineworkers’ strike of 1984-5. There is an argument that National Coal Board chairman Ian MacGregor was paid millions of pounds to engineer the confrontation. The result was that the unions were stripped of many of their rights, meaning working people had nobody left to stand up for them in wage negotiations. It is a direct result of this that workers’ wages have risen by just 27 per cent over the last 30 years, while bosses’ salaries have multiplied by 800 per cent, and the gap between the country’s richest and poorest has grown, massively. She stripped the UK of its manufacturing industries. What can be said about this? Thatcher saw much of Britain’s private industry as uneconomical, unprofitable. She oversaw a switch to service industries and finance – boosting this with bank deregulation. It is this move, which took place in the USA at around the same time, that led to the financial crisis of 2008 and the austerity measures which the current Coalition government is using to hammer the poorest in the modern UK. She privatised national utilities. The share sell-offs were, on the face of it, intended to make it possible for every British citizen to buy shares in the companies that provided power, telecommunications, water and so on. 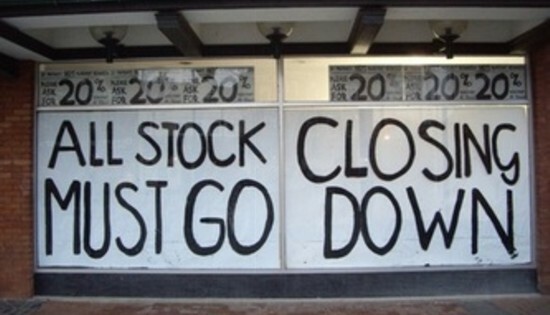 In practice, the poorest couldn’t afford it, and those on middle incomes saw the shares as a short-term investment, believing they would be able to sell their shares on for many times the amount they paid, a few months later. This has led to the vast majority of shares in the privatised utilities falling into the hands of – you guessed it – the very, very rich. Another publicised intention of the sell-off was that, as private companies, these organisations would deliver a better service at a lower price. This was a fantasy; it never materialised. Look at British Rail (which I admit was privatised after Mrs Thatcher left office, but is a great example of the trend): Not only do users pay much more for their tickets now than when it was publicly-owned, but the subsidy paid to the private rail companies by the government has multiplied massively as well. Result: Rich shareholders become very much richer. Poor users struggle to cope with rising prices. Can you spot the trend here? She changed taxation to make the poor pay more. I refer, of course, to the infamous Poll Tax. Mrs Thatcher claimed in 1989 that a flat-rate tax for local services – with everybody, rich or poor, paying the same amount – was fairer. The public – who had already been fooled by the council housing sell-off, the public utility sell-off and the breaking of the unions, and were therefore sick of being hoodwinked – claimed otherwise and refused to pay. The public won and Mrs Thatcher was consigned to the waste basket of politics soon after. The current Coalition government is working hard to ensure that this policy is carried out, with the so-called ‘Pickles Poll Tax’ – the council tax support scheme that ensures everybody pays council tax. Meanwhile, efforts to ensure the rich pay less are going ahead, with Corporation Tax cut by a quarter during the lifetime of this Parliament, and the ‘Millionaires’ Tax Break’ cutting the top rate of Income Tax from 50p in the pound to 45p. She kept Britain out of the Euro (or more accurately, European Monetary Union). This was her one sensible policy, history has proved. There is much to be said in favour of a free-trading zone where countries can trade amongst themselves at favourable rates – but monetary union cannot be a workable part of that, when the countries involved are at hugely varying stages of development. Mrs Thatcher was right to oppose it and the fact that the UK is not mired in the current Eurozone crisis, except as a member of the EU with trading interests to protect, is to her credit. By now, dear reader, you are probably wondering how Mrs Thatcher lasted so long, if her policies were all so divisive, and so clearly trained on impoverishing the lower classes. The answer is simple: She was excellent at public relations. The fact that she was the UK’s first-ever female Prime Minister was a huge publicity boost for her, and she built on it by nurturing an image of herself as ‘The Iron Lady’ – a Prime Minister of firm convictions who knew that what she was doing was absolutely right for Britain (“Right for the goolies of Britain,” as Graeme Garden joked on Radio 4’s I’m Sorry I Haven’t A Clue at the time). The PR-reliance was clear from the start – the Conservative Party hired the Saatchi & Saatchi agency to run its 1979, 1983 and 1987 election campaigns. It is notable that this partnership dissolved during the 87 campaign and Thatcher’s premiership ran out of steam shortly afterwards. “Having lived through the Thatcher years and the changes her government perpetrated on British society, allow me to assure you that there is little reason to heap praise upon her. “The entire thrust of her thinking was to ensure that the rich and powerful became richer and more powerful, and the poor – especially those with intelligence and/or ability – would be denied any chance of prosperity or success. “What’s the American Dream all about? Life, liberty, the pursuit of happiness? Everybody created equal, with opportunity for each according to their ability or achievement, regardless of social class or circumstances of birth? The Thatcher government is a rejection of all those aspirations, as is the current Cameron government, which is its natural successor. “The Thatcher government deprived people of their liberty by creating a large underclass of unemployed people and using the threat of unemployment to depress workers’ wages. “As a result, they did not have the disposable funds to take advantage of the sell-offs of national utilities such as British Gas and British Telecom. “She sold social housing but did not build any to replace it. “She used the police as a tool of political repression, rather than as guardians of the law. “She used taxation in a similar manner, crippling the poor with punitive measures such as the hated Poll Tax – a flat-rate charge, effectively a tax cut for the rich, but a huge tax hike for the poor. Goodbye, Baroness Thatcher. Hopefully your passing will trigger a reassessment of your career, so that we can all move on from the political nightmare your policies created for the vast majority of middle- and working-class people whose only political mistake lay in entrusting their future to you.